Offering you a complete choice of products which include powerzip powder (dairy farm, cow, buffalo, milk, milk fat, snf in milk), rumenizer powder (dairy farm, cow, buffalo, acidosis, rumen, ruminant, milk), deworming medicine bolus (dairy farm, dewormer, pet ke kide marne ki dawa, cow-buffalo, weight gain) and deworming medicine liquid (dairy farm, dewormer, for killing germs, cow-buffalo, sheep-goat). 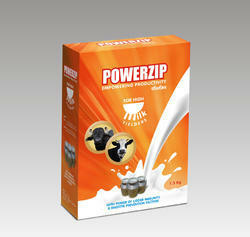 Powerzip is a scientifically balanced formulation of Premium quality fractionated bypass fat , High Quality Rumen bypass protein& microbial protein conversion factors, multiple probiotics, coated vitamins, buffer MHA chelated minerals with power of mastitis prevention factors &udder immunity. Unique formulation enriched with Buffer MHA Chelated Minerals, Coated Vitamins, Amino Acids, Bypass Fat, Bypass Protein, Multiple Probiotics with High Microbial Protein Conversion Factors, Natural Anti-oxidant & Immunity Enhancers. 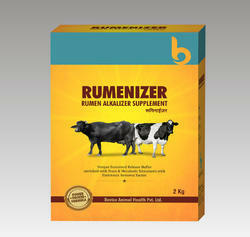 Rumenizer is a rumen function enhancer enriched with sustain release pH optimizer, Endotoxin removal factor along with probiotic support. Unique Sustained Release Buffer enriched with Yeast & Metabolic Stimulants with Endotoxin Removal Factor. 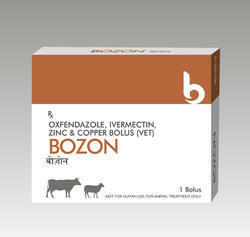 Broad spectrum anthelmintic effective against Endo & Ectoparasites enriched with power of Minerals.